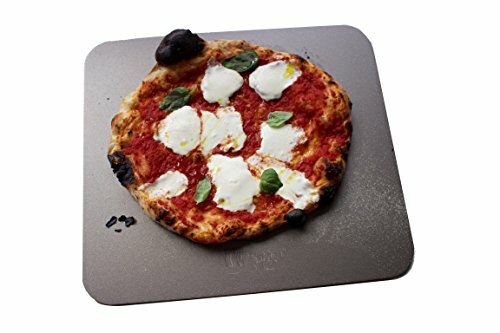 Pizza stone made from ultra-conductive steel. Inspired by Modernist Cuisine, the Baking Steel is more conductive cooking surface than stone and stores up to 18 x more energy than a traditional pizza stone. Because of that conductivity, it cooks faster and more evenly at a lower temperature, resulting in beautiful, thin, crispy crust. WE DO NOT SHIP TO P.O. BOXES.